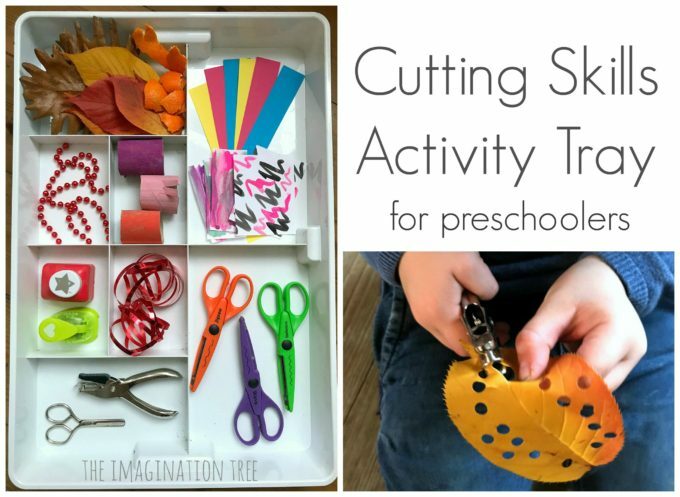 Set up this fine motor skills cutting tray for preschoolers to practice cutting and tearing a range of materials in a fun, sensory rich way! 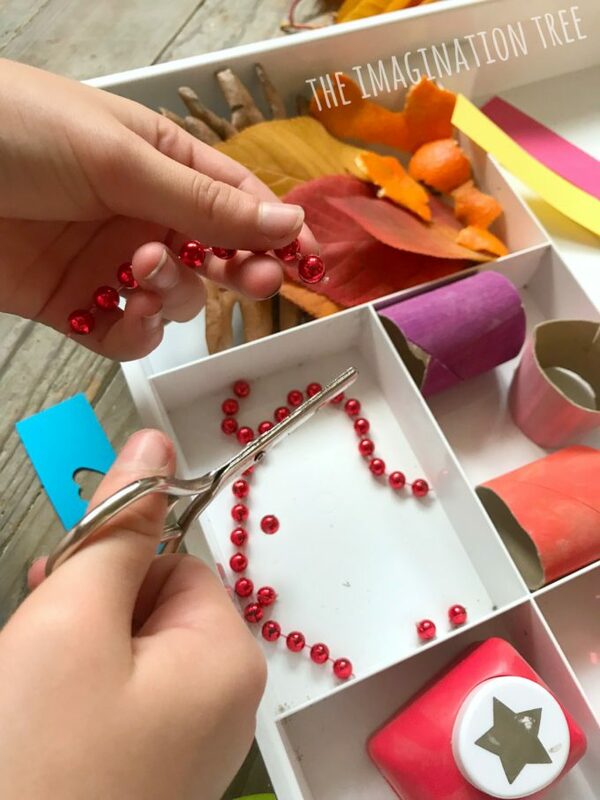 Perfect for strengthening hand muscles essential for developing later writing skills and open-ended enough for it to be exciting too! 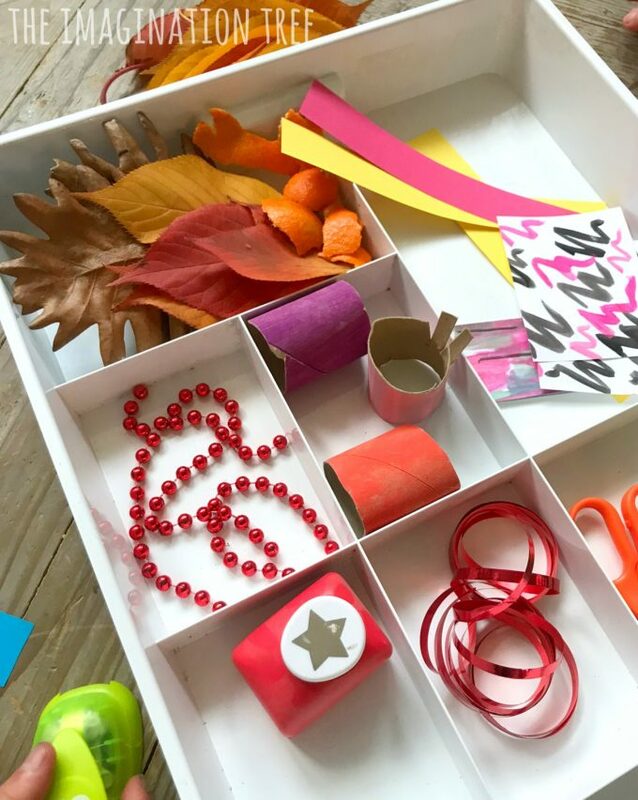 Ever since I found this sectioned tray divider at Ikea I’ve loved using it to set out lots of simple invitations to play, small world play scenes and play dough activities as it’s so easy to see everything clearly laid out ready to use! 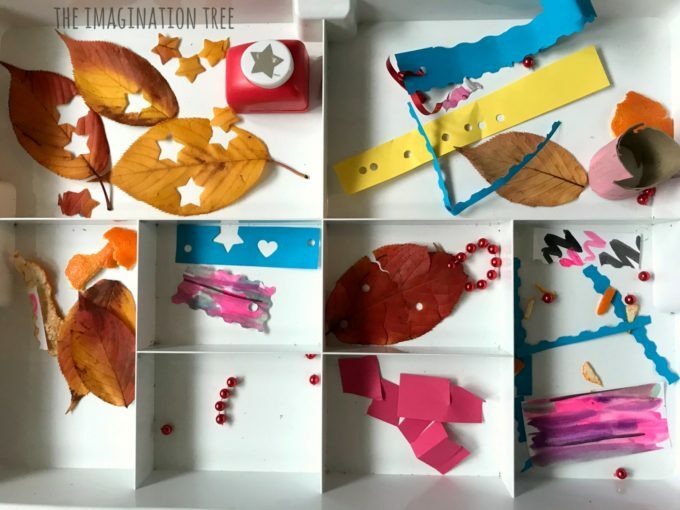 I don’t share everything here on the website but do share DAILY play activities that I set up with my 10, 8, 6 and 3 year olds over on my Imagination Tree Instagram account (come and follow me there and say hello, it’s such a friendly place! 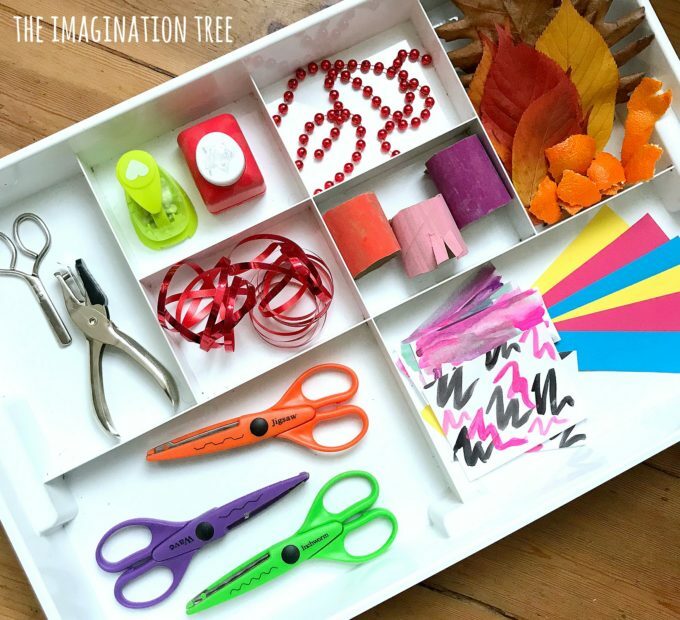 I set up this tray mostly with my 3 and 6 year olds in mind, but I knew the big girls would love to use it too as an after school activity, and YES they did! I’ve got some sweet videos of them over in my Instagram stories using it. 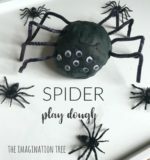 As with most of my invitations to play, this was set out ready on the coffee table for the kids to find after school and use how they chose. As predicted all kids zoomed over to it and got stuck in! 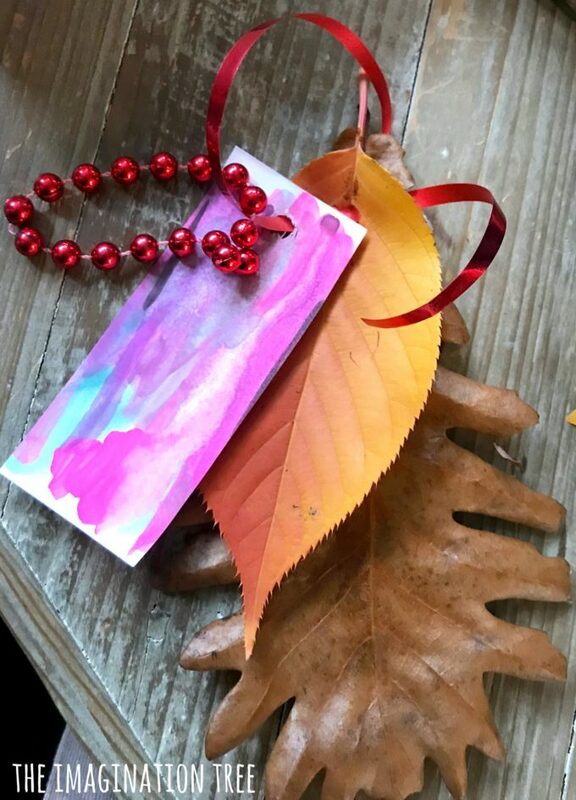 The older two decided they were going to make bookmarks and Miss 6 made an elaborate ornament, but first they tried all of the implements and materials. They were as keen as I am to snip the string beads (for some reason it is very satisfying- try it!) and soon those became a whole pile of individual beads. 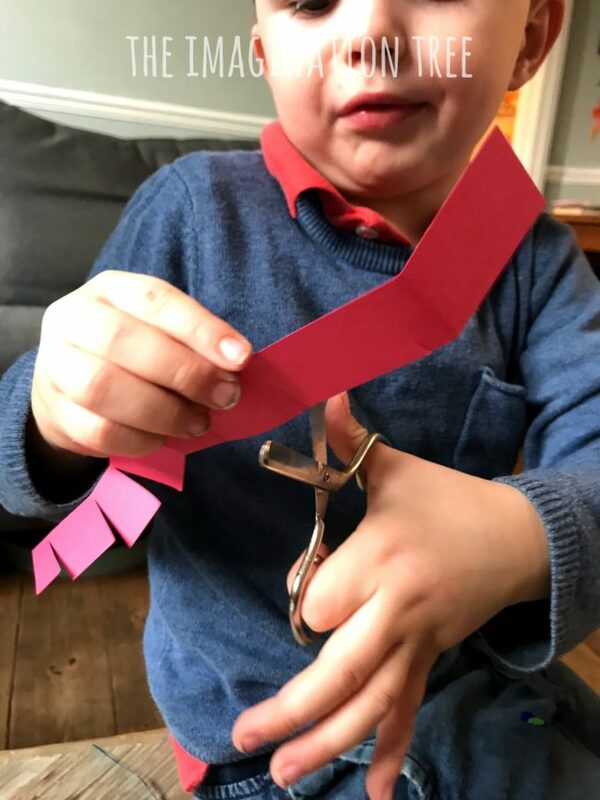 Mr 3 loved “Snippin” everything in sight using the old school scissors, which were a perfect size for him. 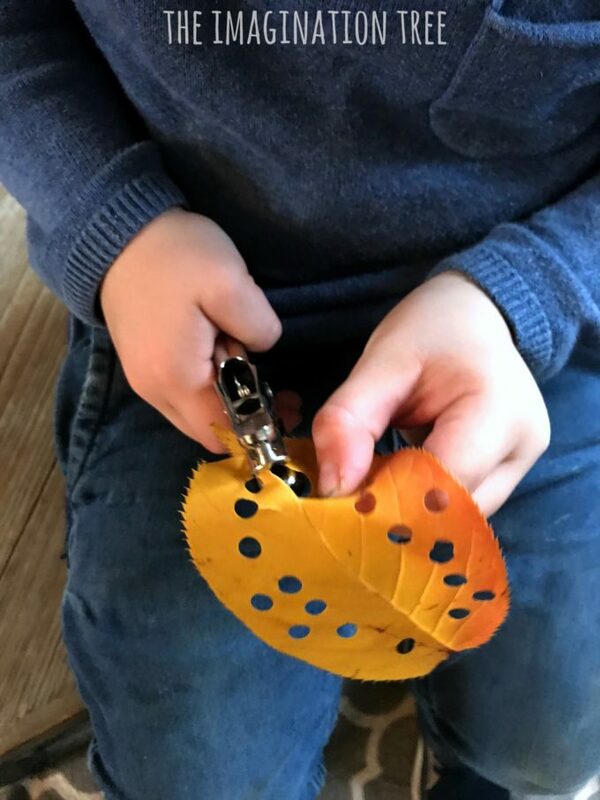 He was also very keen on the shaped hole punchers once he got the hang of how to use them, cutting out lots of stars from the yellow and orange leaves. 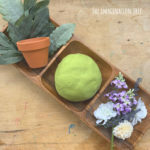 They tried everything and then began to get creative with the results of the activity. 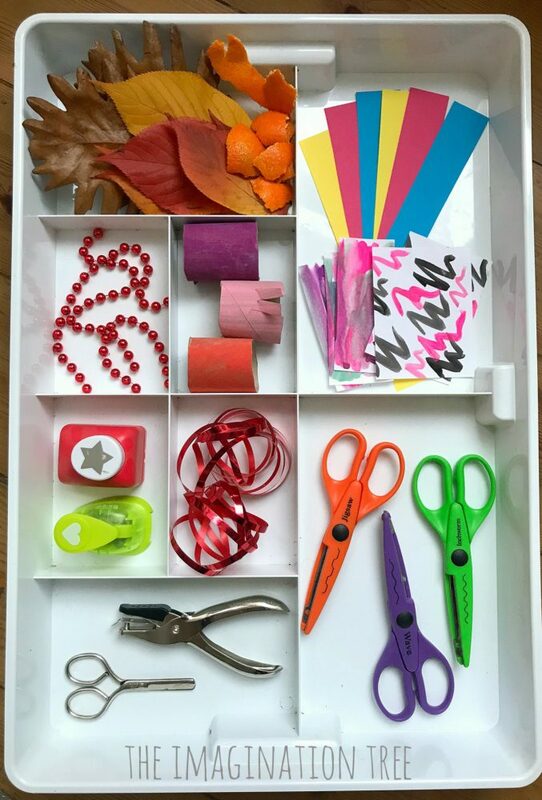 I absolutely LOVE this collection of treasures made by Miss 6 to hang up as a decoration! 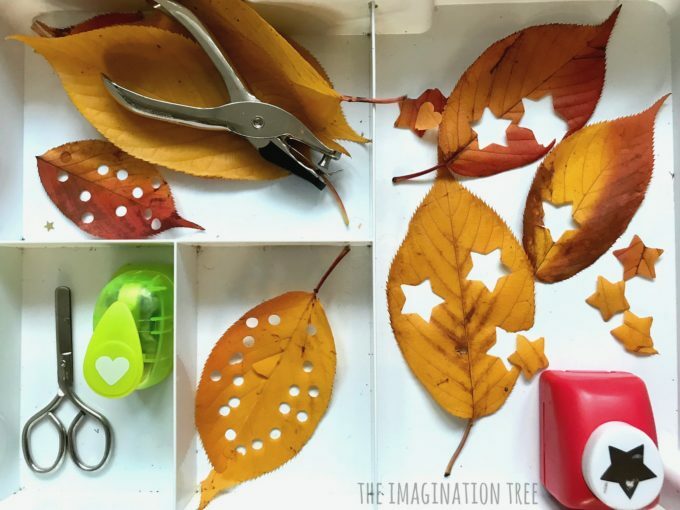 One of the favourites was the shaped hole punchers and leaves, which resulted in gorgeous nature confetti! We’ve collected loads and loads of these now into little bottles to make pretty confetti to sprinkle as an eco alternative! 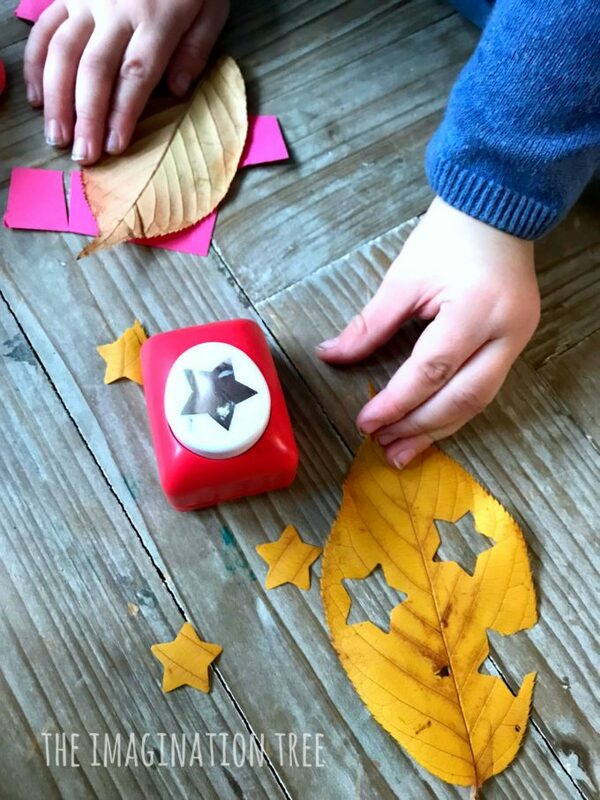 The ticket puncher is particularly easy to use and Mr 3 became completely engrossed with it, snipping his way through lots of leaves. They had a go at everything and this was what it looked like about half way through play! 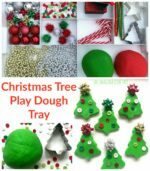 This is easy enough to either replenish and extend for the following few days or else pack up and bring out again on another occasion. 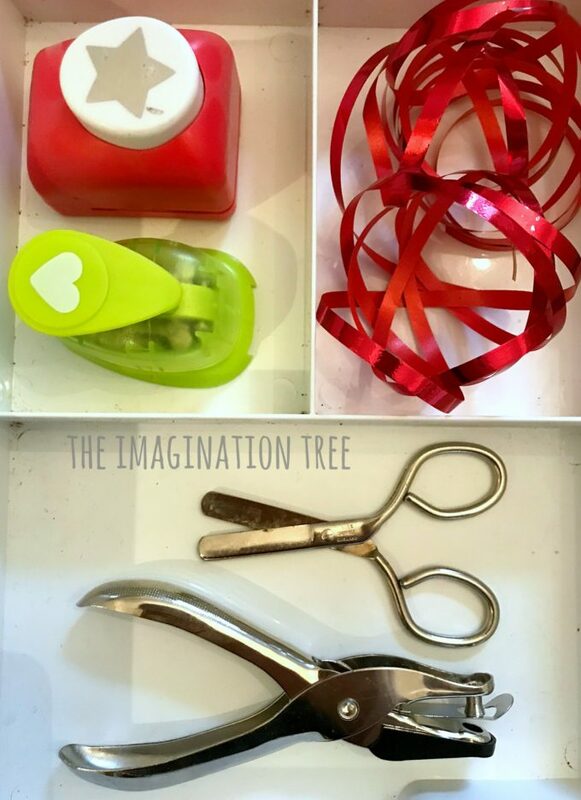 The mess was very contained and waste was minimal, making it an easy activity tray to grab and go then pack away quickly again. 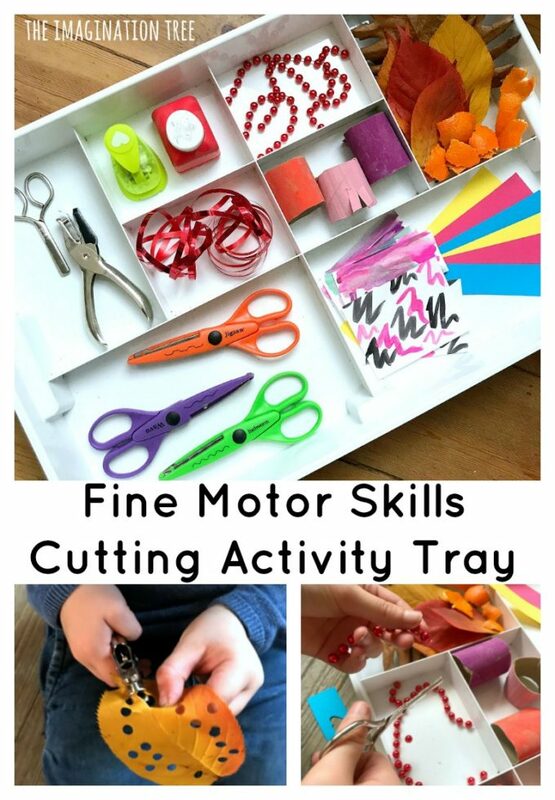 If you like this Fine Motor Skills Cutting Tray Activity then you’ll like our FINE MOTOR SKILLS ARCHIVES which are packed full of loads more simple, easy to set up ideas! 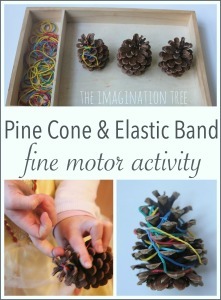 Start with these 40 Fine Motor Skills Ideas first! 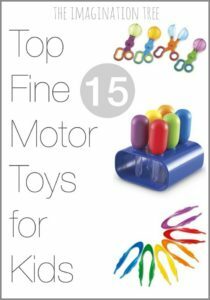 Want some recommended toys and tools for fine motor skills activities? 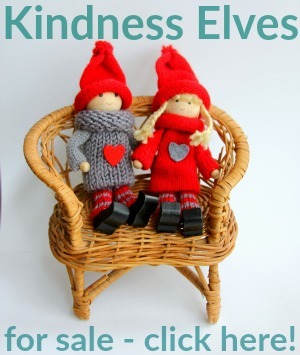 This post has 15 of the best for you! 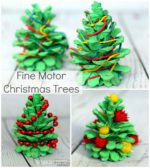 I’ve even got a Fine Motor Skills for Babies and Young Toddlers post here too! 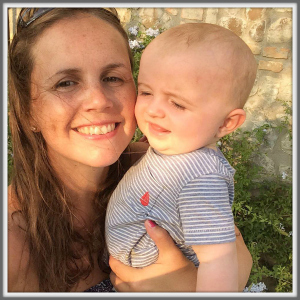 Never too young to be working on these all important muscles.